Chicago’s mentally ill vampires risked their unlives to speak out against the National Rifle Association’s call for a National Database of the mentally ill. In a Google+ chat sponsored by the Chicago Vampiric Alliance for the Mentally Ill, members accused the NRA of promoting negative stereotypes. 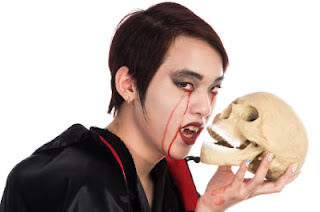 “The NRA’s proposed database stigmatizes mentally ill mortals and is a death sentence for affected vampires.” Said Dominique, cofounder of the alliance. “It will not prevent mass shootings. It will only destroy lives and unlives. Member Rose Wine noted that, contrary to popular belief, mentally ill mortals are four times as likely to be victims of violence. Mentally ill vampires are 20 times as likely to be killed. The group then described incidents where Chicago’s Overlord had needless ordered the deaths of his mentally ill subjects. The group fears that the proposed database will include vampires. Vampiric overlords could then search the database and order the deaths of mentally ill subjects. The group says that there are plenty of regulations within the vampiric community regarding drinking mortal blood. Secret societies already exist that monitor social and mainstream media to prevent real vampires from becoming public knowledge.